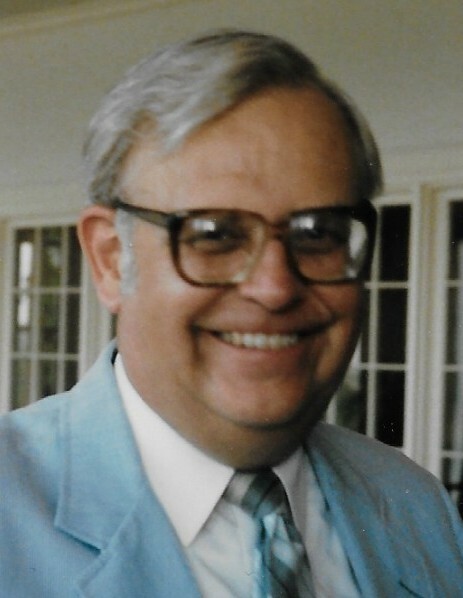 John Gordon, Sr., Vice Chairman Emeritus of Gordon Food Service, passed away on Saturday, April 6, 2019 at home, following a battle with Alzheimer’s. He is survived by his wife of 63 years, Nancy, son John, Jr. (Amy) and daughter Sue Rollo, seven grandchildren: David, Katie, and Will Gordon; Michael, Melissa, Nicole, and Jennifer Rollo; and one great-grandson, Mateo Rollo. John is also survived by his sister Lois (Bill) Lanning, and sisters-in-law Beth and Dottie Gordon, Pam Schmidt, and Marge McGehee. John was preceded by his brothers, Paul (d. 2008) and Phil (d. 2013). For more than 65 years, John served as a strong and caring leader of his family’s business, passionately committed to the needs and interests of its customers and employees. Working in close partnership with his brother, Paul Gordon, they were instrumental in pioneering innovations that transformed their family’s small, regional grocery supplier into a multi-billion dollar, multi-national leader in foodservice distribution, with more than 20,000 employees across the U.S. and Canada. John’s unwavering commitment to serving his family’s business remained a central part of his life into his 90s, as he continued to come into his office almost daily. Born April 29, 1928, the third son of Ben and Ruth Gordon, John’s passion for boating and his reputation as a sailor were established in his youth, an early display of the joyful energy that would characterize his life. He also enjoyed hunting and fishing. Following college and service in the U.S. Army, John joined Gordon Food Service in 1953, beginning his hands-on immersion in virtually every aspect of the business, including sales, purchasing, and operations. He was named the company’s Secretary and Treasurer in 1965, and went on to champion the company’s pioneering Employee Profit Sharing Plan. John became Vice Chairman of the Board of Directors in 1991. Without the four decades of powerful, visionary leadership provided in partnership with his brother Paul, the company would not have achieved its remarkable record of growth and industry-changing innovations. In addition to the love and respect of his family, friends, and the people of Gordon Food Service, John was recognized for his business achievements with the Ernst & Young West Michigan Entrepreneur of the Year Award in 2004. He also proudly served on the board of the Porter Hills Foundation and the Alma College President’s Advisory Council. John also served as a deacon and an elder of Eastminster Presbyterian Church. John humbly and devoutly believed that God’s grace was his greatest reward and held his faith most precious, followed closely by his deep love for his immediate and extended family, including the people of Gordon Food Service. Together they now celebrate his life and lasting impact on so many—and the greater reward that awaits him. Relatives, friends, and Gordon Food Service employees are invited to greet the family. Visitation will be Thursday, April 11, from 2 to 4 p.m. and from 6 to 8 p.m. at Calvary Church, at East Beltline and I-96. A service to remember and honor John will be held at Calvary Church, on Friday, April 12, at 11:00 a.m. in the main auditorium. For those interested in a living memorial in honor of John, we encourage you to consider a gift to D.A. Blodgett - St. John's, Forgotten Man Ministries, or Mel Trotter Ministries. If you would like to leave a personal condolence or share memories of John, please visit www.gfsJohnGordon.com.